A piece of quiet country right in Whistler! 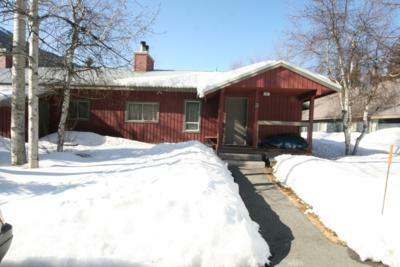 This cabin-like townhome is in a 4-plex building as part of a complex of 12 similar buildings well spaced on approximately 2.5 acres. From the front porch of the 690 square foot chalet one walks through spacious landscaped lawns, trees, shrubs and flower beds on maintained paths between the buildings. The unit is located near the end of a cul-de-sac across from a small children's play area and tennis courts which abut a wide green belt corridor with trail to the village. 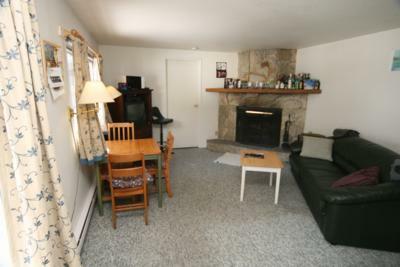 Walk out 3 minutes to a private sandy beach on Alta Lake with a gorgeous view of Whistler and other mountains and great windsurfing, canoeing and sometimes cross country skiing. The valley trail is two minutes away going the whole length of the valley. It leads North to Meadow Park or 20 minutes East around the golf course to the village. 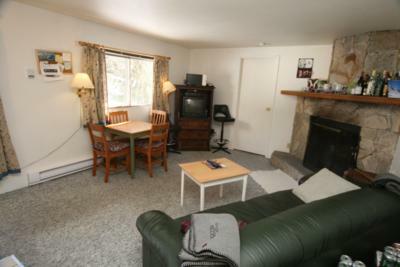 It is an easy 1 block to the bus or 1.5 km or a 3 minute drive to Whistler Village and the ski slopes or summer mountain trails. Three steps lead up to the porch and front entrance. The foyer has a deep cupboard with shelves and a tall section for skis and snowboards and a built-in wooden bench. 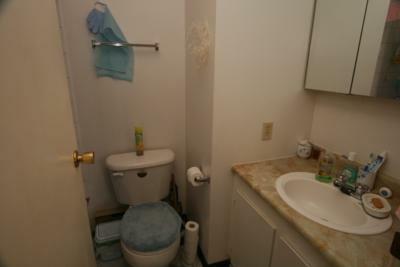 To the right is a full bathroom shower - no bath. 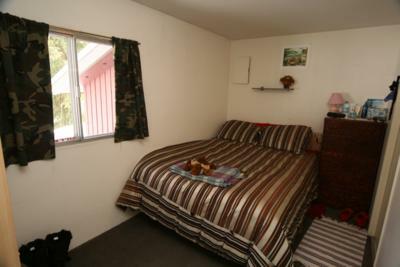 Straight ahead is the front bedroom with 2 twin beds or could possibly be a queen bed and built-in closet. 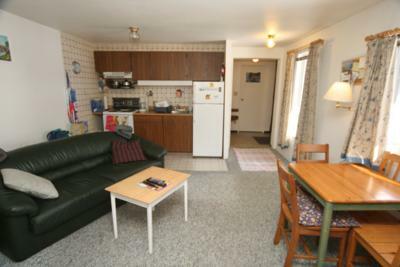 Through to the left is the entrance to the open concept kitchen with fridge, sink and stove. 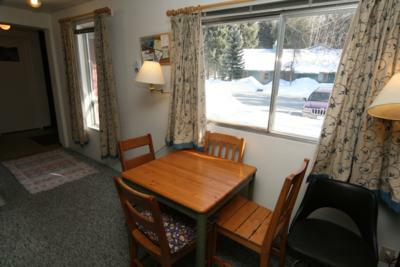 By the windows overlooking the birch and fir trees across the patio, is the eating area with dining table and 6 chairs. The living area has a large, comfortable L-shaped sofa with pullout queen bed looking over to the wood burning fireplace with rock fascia and oak mantle, to a tall TV entertainment console and out the front windows. One goes through to the master bedroom which has 2 twin beds or could possibly be a queen bed, and a walk in closet with shelves and clothes rods. That is also where the washer and dryer, and the hot water tank are. 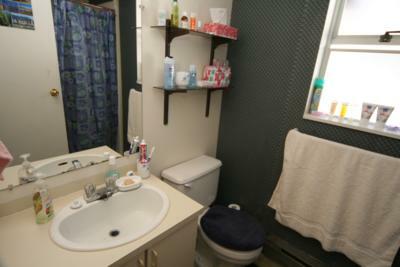 The en-suite has full 3 piece bathroom with tub shower combo. 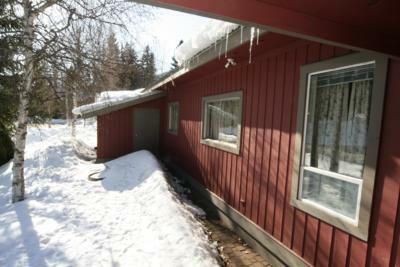 The chalet has walks, hikes and cross-country skiing almost from the door and many more around the valley. A pleasant stroll through an alpine style, pedestrian only village will take you past fascinating stores of Canadian and world-wide fashions, arts and crafts, sporting goods, specialty foods, as well as excellent restaurants. Some often recommended ones are The Araxi, The Wildflower, The Chalet at the Fairmont Chateau Whistler Golf Club, Dubh Linn Gate Old Irish Pub, Hy's Steak House, Mongolie Grill and Steeps on top of Whistler mountain. There are various after hours lounges and pubs. One can choose many exciting adventures including heli-skiing, snowmobiling, zip lining, bungee jumping, whitewater rafting, kayaking and rock climbing for a wide range of ages and levels of experience. There are 5 golf courses in the area. The historic town of Pemberton is 30 km to the north, and to the south a famous, scenic 125 km drive to Vancouver with its international airport. There is daily bus and train service. Welcome to this mountain paradise! Pull out queen sofa in the living room. Twin beds available.